Because of this, the Help Desk is only able to offer best effort support for these clients, and certain issues may require the use of a Microsoft client in order to be resolved. 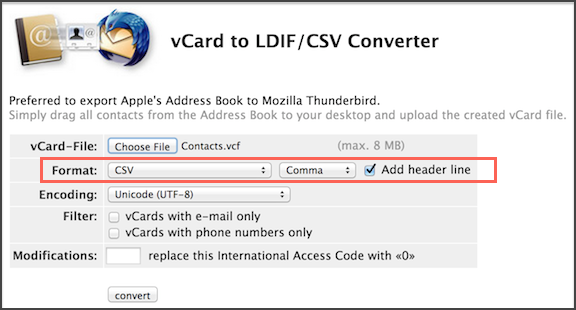 A similar online tool to the one demonstrated below can be found at: vCard to LDIF/CSV Converter. For each of the two "Format:" drop-down menus, select CSV and Comma, then check the Add header line box. 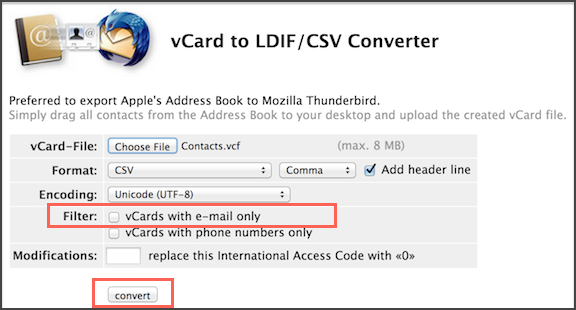 Next to the "Filter:" field, uncheck the box labeled vCards with e-mail only. 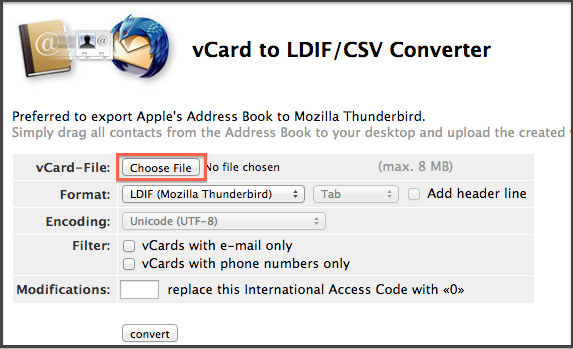 To finish the process, select convert to save the .csv file.